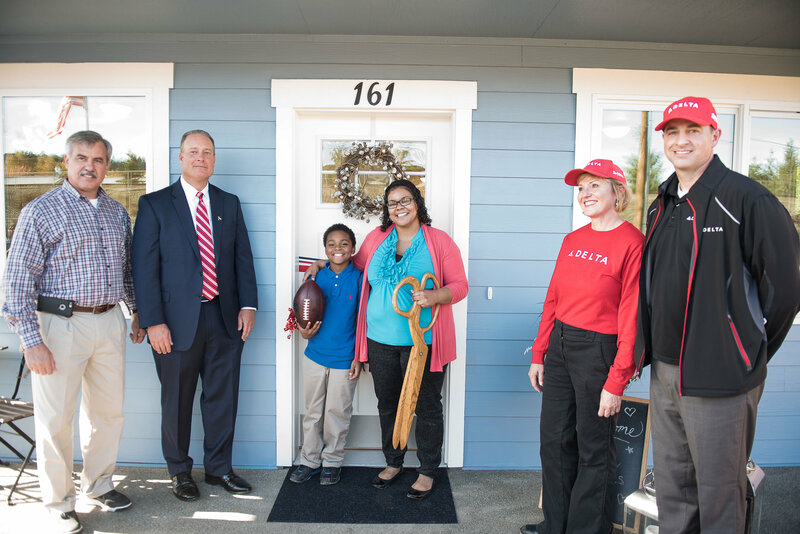 More families will enjoy the gift of a home this holiday season thanks to the work of more than 2,400 Delta employees across the country this fall — an effort that began 11 weeks ago and closed Thursday with the final home dedication in Atlanta. Delta’s 2016 domestic build season yielded homes 228-235 built in partnership with Habitat for Humanity International across six hub cities, including Atlanta, Detroit, Los Angeles, Minneapolis-St. Paul, New York and Seattle. Each home has its own story to tell. In the South Central neighborhood of Los Angeles, the home was built in support of Mayor Eric Garcetti’s strategy to combat the city’s homelessness crisis, and was Delta’s first build within L.A. city limits. 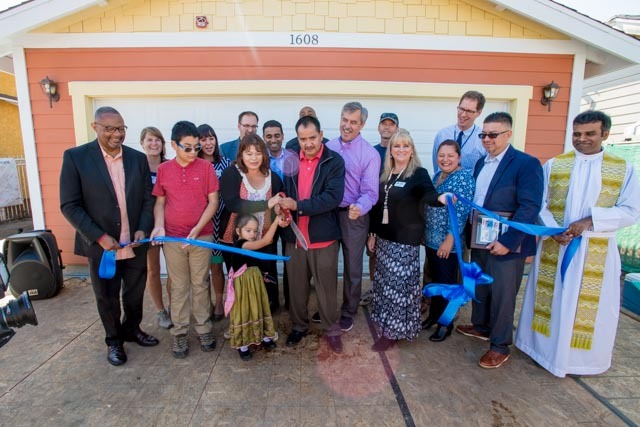 In Pacific, Wash., near Seattle, Delta constructed one in a series of nine homes that will be built in an all-Habitat development for military veterans and their family, a nod to Delta’s more than 10,000 employees who are military veterans or active service members. The recipient was U.S. Navy veteran Rachel Grinage and her son, Ahmad. Delta’s ongoing commitment to the environment funded two homes this fall including the Minneapolis-St. Paul build, which marked the eighth home funded by on-board recycling initiatives, and the final Atlanta build in the Westside neighborhood — one of three built by Delta in Atlanta this fall — which marked the fourth home funded by TechOps’ oil recycling program. Delta employees have now helped build or rehab 235 Habitat homes in 12 countries around the world, and will continue the momentum next April with the Global Build in Puerto Vallarta, Mexico. Habitat is one of Delta's core community partners as it acknowledges the need for safe, decent and affordable shelter around the globe.